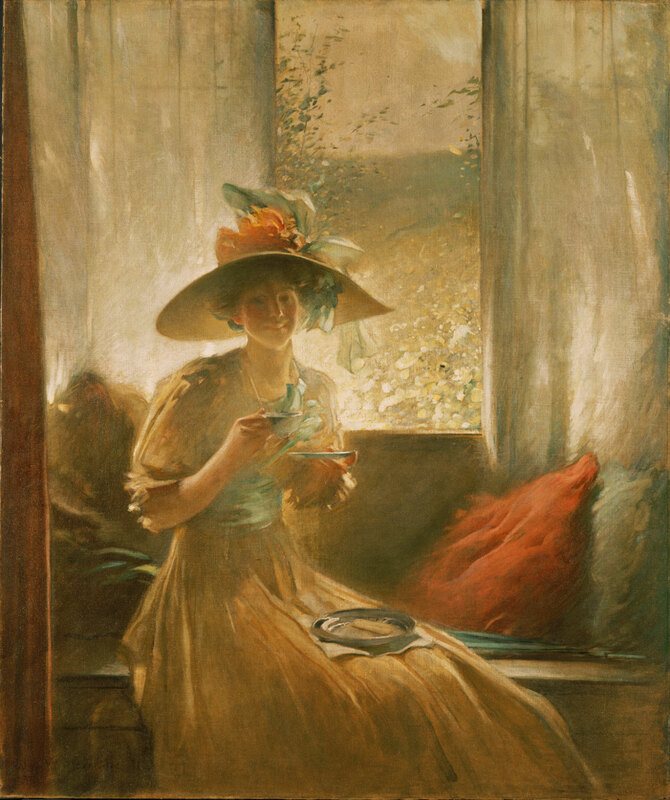 John White Alexander was celebrated for his gracious paintings of women in domestic interiors characterized by long, fluid lines and luminous color. The Gossip illustrates several influences derived from French Impressionism, including filtered light, active brushwork, and a bright palette. The artist's wife later remembered that Alexander was "especially interested in getting away from the usual studies of light," noting that the studio in which The Gossip was painted "was built to provide every need of lighting and cross lighting."